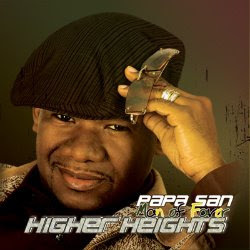 Spotlight Interviews, News & Reviews: Papa San "Higher Heights"
Papa San reaching for Higher Heights. Listen to our exclusive interview with the one and only San. We spoke about his ministry and his expectations for this new album. San also had words of encouragement for many of his young fans. Tune in and enjoy! Log on to blog talk radio to listen to our most recent interview.